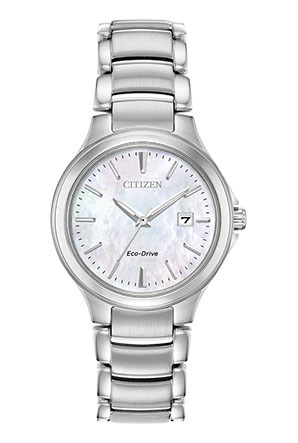 Classic lines with a chic design, this CITIZEN® Chandler timepiece will fit your style from day to night, making it the perfect watch. Shown here in a stainless steel case and bracelet with a light pink Mother-of-Pearl dial. Featuring our Eco-Drive technology – powered by light, any light. Never needs a battery.